Image: jetcityimage/iStock Editorial/Getty Images Plus/Getty Images. McDonald's may be pulling out all the stops this year, introducing new and creative menu items and promotions — from testing the McGriddles French toast breakfast sandwich to offering the chance to score free McDonald's for life. But the fast food chain can't seem to escape being in the headlines for possible food poisoning. Back in July, people in Illinois fell ill with cyclosporiasis after eating McDonald's salads. And now, as of last week, approximately 50 people reported nausea, vomiting or diarrhea after eating at a McDonald's in Jamestown, New York between July 29 and Aug. 21. According to the New York State Department of Health and the Chautauqua County Health Department, who are working collaboratively on the case, 15 of those people ate various breakfast sandwiches at the restaurant. "We are working diligently with the State Health Department and McDonald's representatives to conduct a thorough epidemiological investigation into these illnesses," said Christine Schuyler, county public health director, in a press release. "There is currently no identified source of these illnesses and there is no evidence that the illness can be spread from person to person." According to the release, breakfast sandwiches prepared at the McDonald's in question and patient samples were sent to a laboratory for testing. Preliminary testing has come back negative, although many other tests are pending. The Jamestown McDonald's franchise owner Enrico Francani said he is cooperating with local and state health department officials, according to CNBC, and that the restaurant has been temporarily shut down. "Because the health and safety of our customers is always our top priority, out of an abundance of caution, we proactively closed a restaurant for cleaning and sanitation," he said in a statement via CNBC. In addition to thorough cleaning of the food preparation area and all equipment, Francani will also "review the food preparation and distribution process in conjunction with County staff, [obtain] a fresh supply of ingredients prior to restarting food production, and [conduct] a follow up meeting with the Chautauqua County Health Department to ensure all recommendations [are] appropriately met," according to the release. 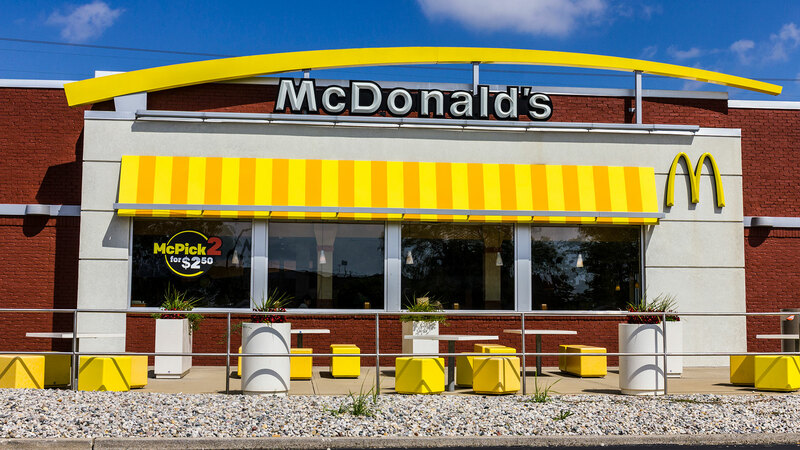 This is the only McDonald's restaurant involved, and according to the Chautauqua County Health Department in a second press release, there is currently no evidence that the illness can be spread from person to person. If you have visited the McDonald's at 2803 N. Main St. Extension in Jamestown and you have experienced vomiting and/or diarrhea shortly after eating there between the aforementioned dates, Chautauqua County Health Department advises you to contact them at 716-753-4483 or email cchealth@co.chautauqua.ny.us.